I first realized something was wrong with teen sleep while student teaching. I taught 2nd-semester seniors (whoever scheduled that clearly hated me!) School started at 7:20 and I watched my students walk in with coffee, caffeinated sodas, and candy bars to wake themselves up. While I all but tap-danced in front of them, they were like zombies. Clearly, my students were exhausted. Sleep is vital for our bodies and brains. According to the Sleep Foundation, sleep is “food for the brain.” Few people would purposely starve themselves, but that is just what many of us, not just teens, do. Doctors recommend that teens need 9-10 hours of a sleep a night. 9+ hours, people! Yet, more than 60% of teens report getting 8 or fewer hours of sleep per night. Why do so few teens get enough sleep? While there are many factors, there are 2 main culprits. 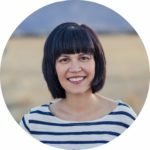 Our bodies’ circadian rhythms, which control when we sleep and wake, change when we hit puberty. Teens naturally want to sleep from 11 PM – 8 AM. If they try to go to bed much earlier, they will struggle to fall asleep. We know that sleep plays an integral role in learning and decision-making. 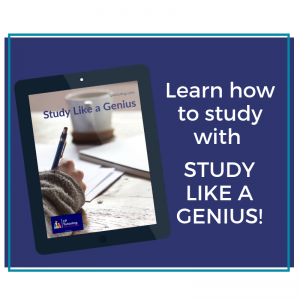 Researchers believe that our brains process the new information we learn during the day. While we sleep, the brain is making connections between this new information and information we already know. We are literally learning in our sleep. While we often think that forgetting is a bad thing, it can actually be helpful. The brain weeds through all the stimuli of the previous day and focuses on the most important, letting the others go. The brain also gets rid of negative emotional experiences as we sleep. Want to forget that fight this morning? Get a good night’s sleep tonight! This lack of sleep leads to so many problems. As an educator, I am most concerned with academic progress. Studies have shown that students who start classes later in the day have higher grades, not just for that class, but ALL their classes. 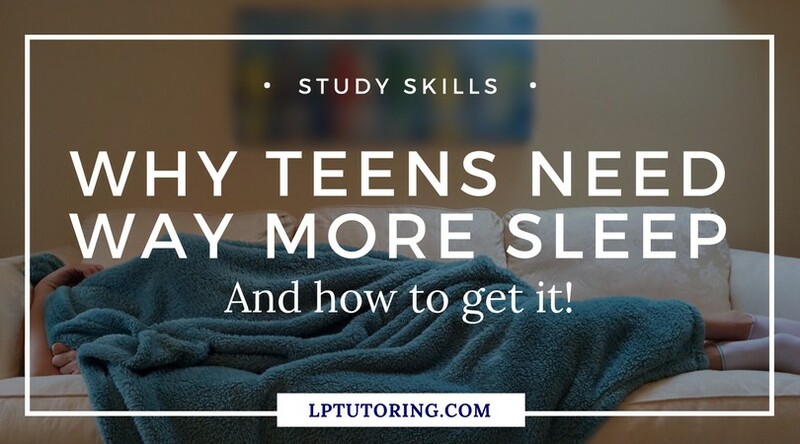 Other research has shown that teens who don’t get enough sleep have problems paying attention and difficulty with complex thinking and test-taking. Lack of sleep can also lead to poor decision making by students. They are more likely to abuse alcohol and drug use. If that wasn’t enough, let’s talk about driving. Drowsy driving is as bad as drunk driving. School districts that moved their start times to later in the morning saw significant reductions in car accidents by students. 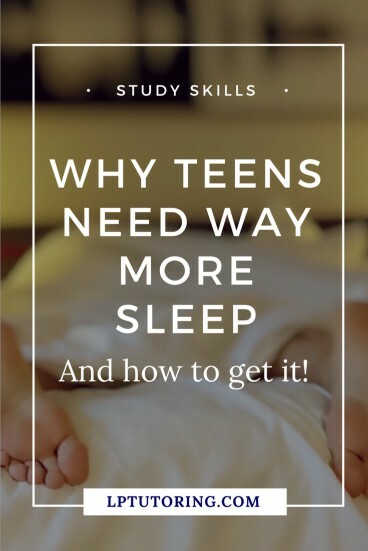 So, how do teens get more sleep? Go to bed and wake up at the same time every.single.day. This includes the weekends. You can’t “make up” for lost sleep by sleeping in. Sadly, your body doesn’t work like that! Do the same things every single night – take a shower, brush teeth, read, etc. Your body will take those actions as a signal and prepare to sleep. Turn off your phone, tablets, and TV at least 1 hour before bedtime. (I know this one is super hard!!) The blue light these objects emit and their interactive nature interferes with sleep signals and sleep itself. Lay off the caffeine by mid-afternoon. Caffeine can make sleeplessness even worse by keeping you up even later. If you’re too tired to function, go to sleep. Keep your room dark, quiet, and distraction-free. Do NOT keep your phone near your bed. In fact, don’t keep it in your room at all. Let it charge overnight in the kitchen or family room. Parents, you play a pivotal role in ensuring that your child gets enough sleep. Implement some of the recommendations above. Also, remember to model good behavior. Make sleep a priority for the whole family, including yourself.